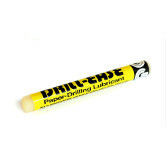 These drill lube sticks are made of a wax based lubricant. They reduce friction when drilling, so your drill runs smoother and generates less heat when drilling through paper and other materials. Manufacturer: CARL MFG. USA INC. 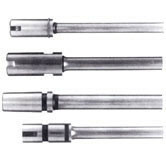 Manufacturer #: CUI60002 Three 9/32" diameter punch heads and six punch disks. 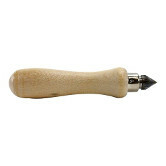 This handy hollow drill sharpener keeps your paper drill sharp for clean, fast hole drilling. It sharpens most hollow drill bits with just a twist or two. 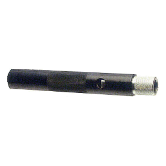 This simple hollow drill bit sharpener works with all Type "A" hollow drill bits. Just place the drill bit in the chuck and give it a couple of twists.